two women laughing at something on the cell phone. Senior couple sitting in cafe laughing together. 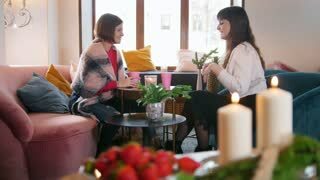 Two young woman sitting in the cafe, talking and laughing while drinking coffee.